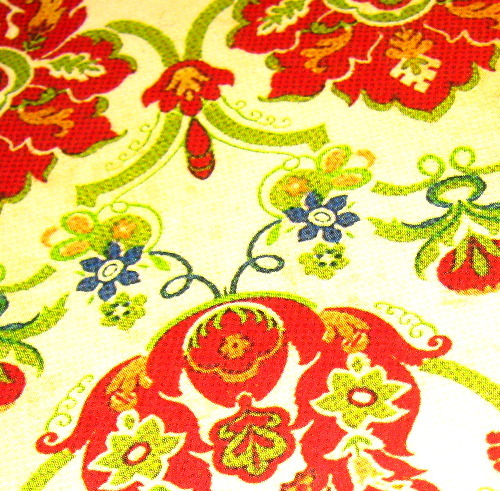 Posted on May 11, 2010 by Albert G.
Sometimes decorative papers can make a world of difference in the overall presentation of a card and/or theme. 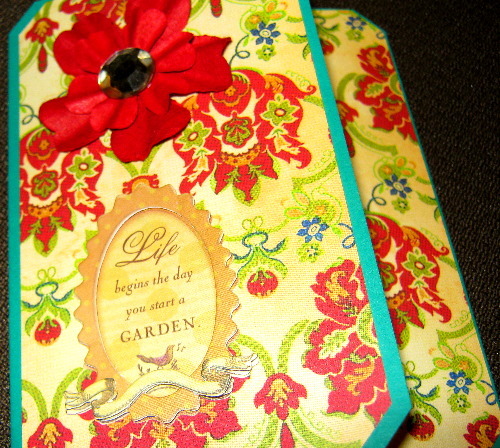 For example, this card which highlights a decorative paper from Graphic 45 just bursts with color and intricate detail. I can’t help but smile simply looking at it. Unfortunately for me, Graphic 45 has turned into a newly acquired obsession. I think their papers are some of the most colorful and detailed works of art currently on the market. While they definitely cater to a specific look and time, their work with even basic patterns is dynamic and brilliant. 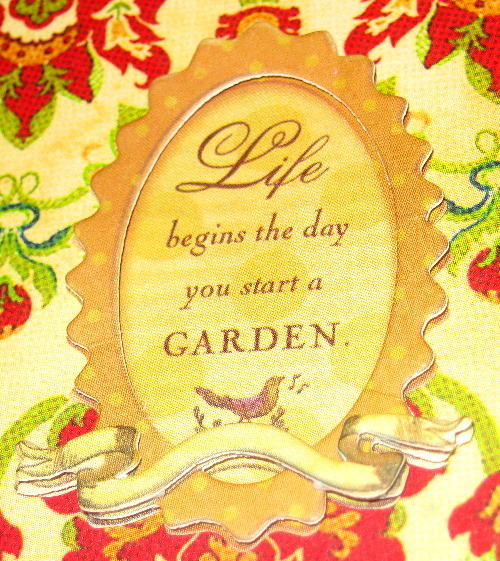 The card base (in Stampin’ Up! 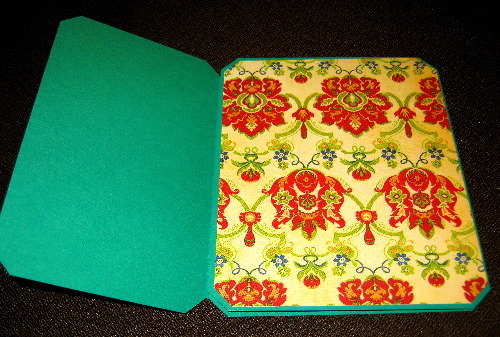 Glorious Green) was scored at 3″ and 7″ to create an offset tri-fold card. 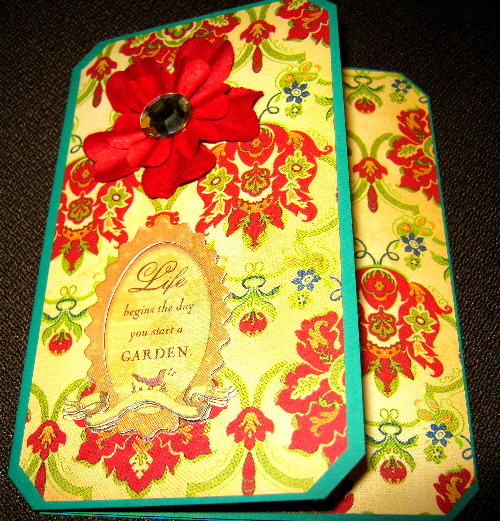 The decorative paper was used on the two exposed card flaps. 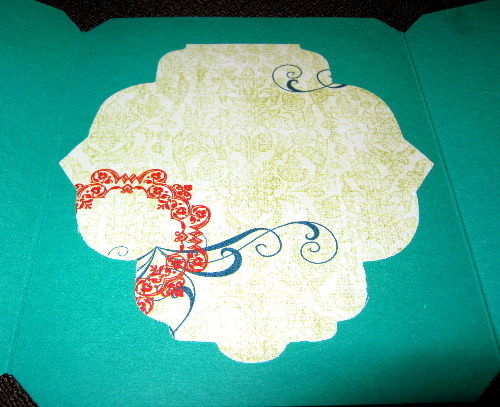 All the corners of the base cardstock and decorative paper were snipped with the tag corner punch for uniformity. 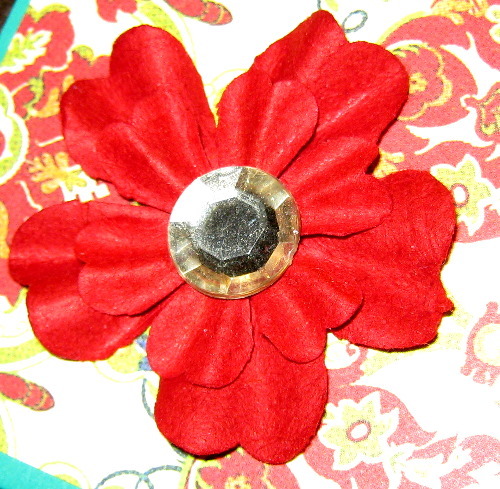 Two Prima mulberry flowers in a bright red were layered with Stampin’ Dimensionals and the crystal was adhered with a 1/2″ Glue Dot. While quite simple in its construction, the card definitely makes a statement.